During the salvage of the COSTA CONCORDIA I was eventually placed in charge of the installation, commissioning and correct function of the ballast control system on board the vessel. This assignment required approximately 8 months of near-continuous work and involved coordinating with diving teams, directing electricians and onloading and offloading equipment as necessary. 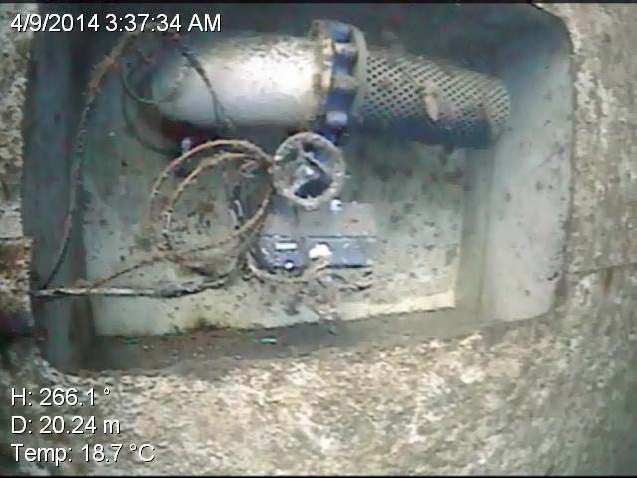 One particular challenge (seen at right) was the removal, overhaul and re-installation of 48 control valves that were between 10 and 30 meters underwater and were not installed with servicing in mind. Devising plans for this operations involved intense coordination with diving supervisors and three weeks of near constant dive team work. I directed the installation of a 12" air header pipe running entirely around this ship. This was made somewhat more challenging by the ship no long being square, level or even floating. I was responsible for a 12 person welding and pipe fitting team during this time and this took approximately 1 month of constant work. After this header was installed, manifolds were added. The manifolds each had 8 valves that required wiring, air fittings and testing. A two to four person team of electrical technicians was at my disposal for these tasks and we spent approximately one additional month making sure all two hundred and forty or so valves worked. The valves tied into control boxes that controlled both the sub-sea valves and the manifold valves. Correct operation had to be ensured before additional sponsons could be installed, due to ballasting and safety concerns. Before we installed the starboard side sponsons we re-connected the port side, which had been underwater for the better part of a year. Using a dive team and topside riggers, we connected the sixty hoses to the various valves and manifolds on the sponsons to allow positive ballast control again. Once we had positive ballast control, we connected hoses and installed the starboard sponsons. This was an additional 13 sponsons, all installed in the space of three weeks. This allowed the ship to have full buoyancy control, be re-floated and carefully towed to safe harbor. Overall the ballast system had to be engineered and constructed with a great deal of redundancy and resilience, lest equipment fail or the sea conditions turn unfavorable.